Are you aware that you can now download JAMB app 2019 CBT Practice Software App ( Java, Android , BB) including the free version and paid version. This JAMB software is downloadable for all Java phones, Android phone and BlackBerry Phones. This Jamb cbt application is created for all candidates, most especially candidates who are interested in passing the Joint Admission and Matriculation Board (jamb) computer base test (cbt) examination, this application is recommended for you. You can checkout the jamb official cut off marks for admission into Universities, Polytechnics and Colleges of education for the 2019/2020 academic session by Clicking Here. You can now download the full JAMB CBT APP mobile application totally free. 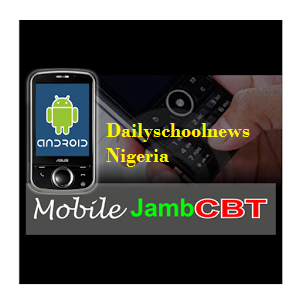 What is JAMB MOBILE CBT? There are two types of ways you can downloading this software either on your mobile phone or computer, laptop. You can choose to download JAMB MOBILE CBT Application or use if preferable, you can also choose to use the online version without paying a dime. Just read through this article for guidelines on how to do this. JAMB Mobile CBT application/software is a free software that provides JAMB candidates with an easy to learn, fast, easy and reliable access to Practice Jamb Questions in any subject of their choice, without been connected to the internet. We’ve designed this application like a game. Most mobile games don’t need an internet connection, right? That also applies for the jamb cbt practice software. You can now download this software on your mobile phones, android phones, tablet or Laptop, Computer and you can access, practice pass questions without been connected to the internet. As a student, it is very advisable for you to use this application, it will you stay updated with latest jamb past questions and answers. Unlike the old Method where you will be reading it on a book, we’re in the 21st century, and with the popularity of Mobile phone and technology advancement, we have created an application where you can time yourself, select the number of subjects you need and answer the questions as fast as possible. This is just the same as the real examination, except that this is a jamb mock examination, where you will answer the question, and the application will mark your answers. One thing is certain, this application will be one of the best tools an application can get as a gift for themselves. Take note that this application has been created to serve candidates who will be writing the 2019 JAMB UTME EXAMINATION via CBT (Computer Based Testing). While our programmers are still updating this application to run smoothly on every mobile platforms and computers, we’re glad to inform you, that the JAMB CBT software is currently available on Android as an Application. While for other mobile phone users, such as JAVA, Symibian, Blackberry, Windows, we’ll be releasing your ios very soon. Our main aim, is to help all Nigerian students, most especially, all candidates sitting for the jamb cbt examination, to improve their knowledge and give them a mindframe of how the examination will be. The truth is that Jamb Mobile CBT helps students prepare for one of the country’s most important admission examination, JAMB CBT and Post UTME examination. This application does it all, it reproduce and replicas the jamb cbt examination electronically, also tracks progress and after the examination, it provides answers to all questions. This application is optimized for mobile phones especially and is available offline. This Jamb Mobile CBT App has a free and paid version. This application is very fast and an efficient testing platform for e-examination. This application is a test examination, and it means you don’t have to get it the first time. It is a learning process towards perfection. This application works perfectly 100% offline. Thank you and welcome Yusuf.